If you travelled back in time to the Middle Ages, you would be surprised to see that Marina di Furore was a bustling small trade centre thanks to its location sheltered from pirates and foreign attacks. Water was readily available, which favoured flour and paper production. 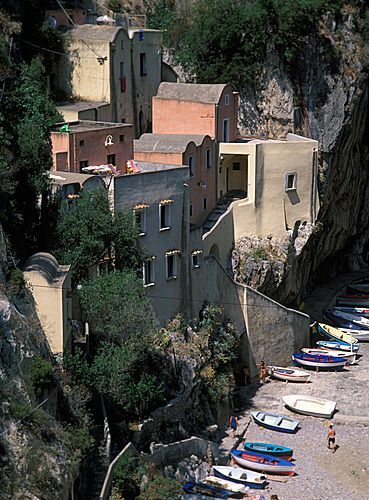 Today, Marina di Furore is a renewed village devoted to fishing. Some Romans looking for shelter from the Barbarians attacks settled at the bottom of the fjord, a huge crack in the rocks of the Lattari Mountains. At present, part of the village sits 300 meters up on top of the mountain. It is not one of the most important towns of the area and it is not visited much by tourists, therefore it has kept a country-like flavour, blending its multicolour walls with modern art. 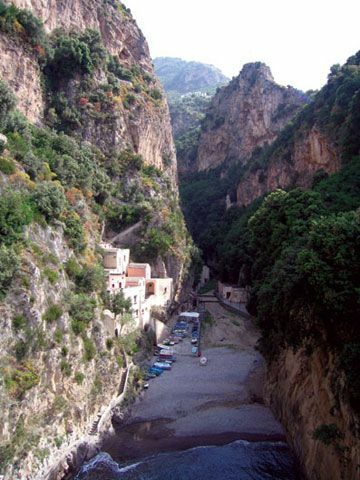 BY CAR: go along the SS163 and then take the SS366 to arrive at upper Furore in the Vallone del Furore. 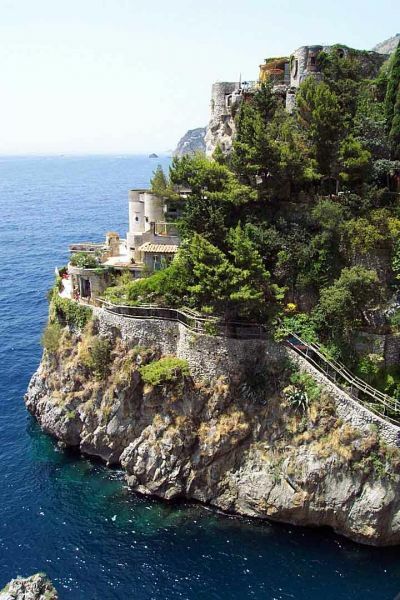 Positano is only a 15km-drive away from Furore. BY BUS: there are buses leaving from Amalfi‘s bus station (services: 17 a day).